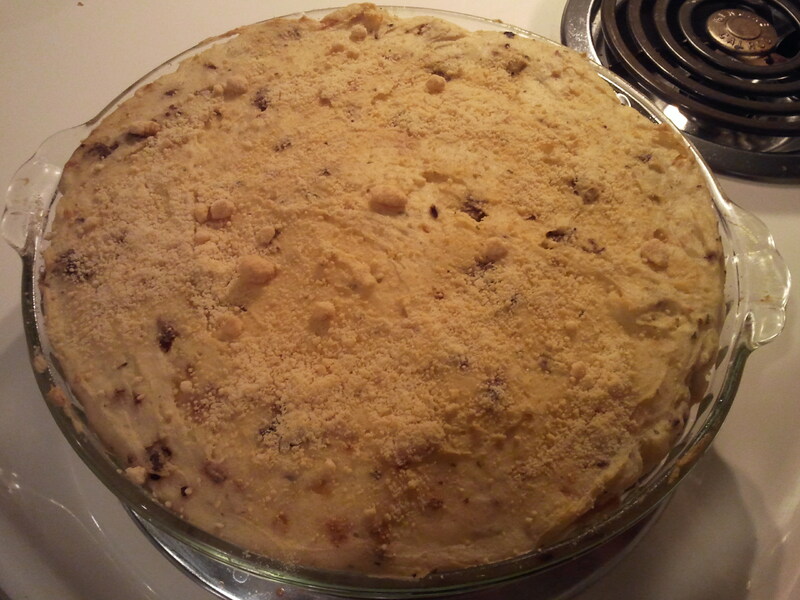 This recipe came from a cookbook I received called Bake Until Bubbly. My Papou almost always got me a cookbook for Christmas, and after he passed away, this was a cookbook my mom found in his house, and she figured it was most likely meant for me. It’s a pretty good cookbook, I wish it had pictures of the dishes, but I do like that it’s dishes made more from scratch, not from a lot of processed foods. 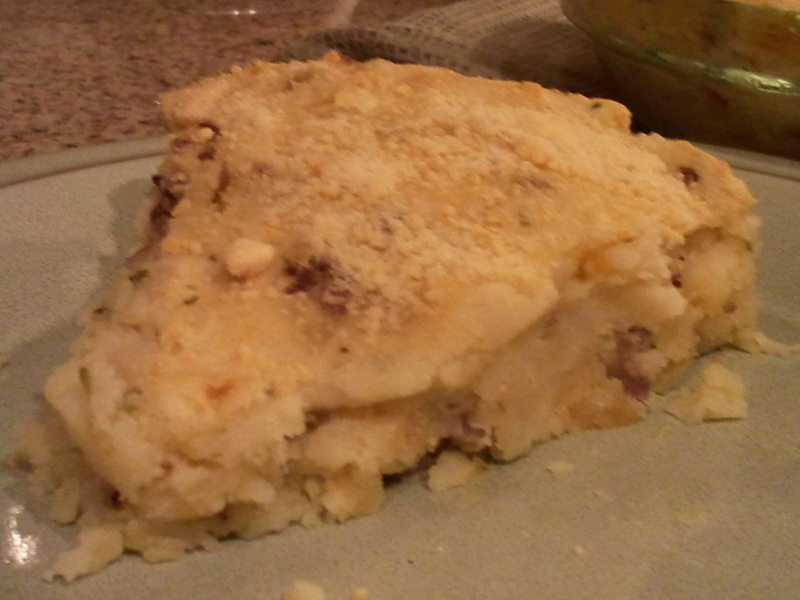 For this Sausage & Potato Pie, I end up not following the recipe exactly, but pretty close. 2 1/2 pounds potatoes, peeled and diced. I prefer Yukon Gold, but a lot of times use Russet. Meanwhile, in a large skillet, break up the sausage and cook until browned. Add onion to the pan and cook until onions are translucent. Use a slotted spoon and add sausage and onion to potatoes. ← Remember to Thaw Your Frozen Turkey!